“Recent actions of the central government confirm I am being persecuted needlessly and wrongly prosecuted”: Affidavit in Supreme Court. Two weeks after the apex court asked him to disclose all assets owned by him and his family in India and abroad, beleaguered business tycoon Vijay Mallya told the Supreme Court today that banks who have initiated recovery proceedings against him have no right over the information of his movable and immovable assets in foreign countries as he was an NRI since 1988. In an affidavit filed through his legal team, Mallya said “recent actions of the central government confirm I am being persecuted needlessly and wrongly prosecuted”. The businessman claimed that he was an NRI for income tax and foreign exchange regulation purposes since 1988. He had been directed by the apex court to disclose by April 21 the total assets owned by him and his family in India and abroad. The court on the request of the banks ordered the liquor baron to disclose all assets-- movable, immovable tangible, non tangible, share holdings, interests in fiduciary capacity in various trusts, all other rights and liabilities-- as on March 31, 2016 in India and abroad, not only in his name but also in those of his wife and children. The apex court had also sought an indication from him when he will appear before it. In his affidavit, Mallya claimed that as an NRI, he was not obliged to disclose his overseas assets, and added that his three children, wife, all US citizens, also need not disclose their assets. “Overseas assets were not considered while granting loans”, he said in his statement. Mallya, however, said to demonstrate his bonafide and also that of his companies, an aggregate of Rs 1591 crores can be deposited before the apex court. The affidavit further said that Kingfisher Airline was a genuine commercial business failure and denied that the loan advanced by the banks to the company were misused or Mallya has amassed assets/properties in the name of his family members or relatives or friends with the intention to avoid recovery of alleged dues by the banks. It said UB Group of companies and its associates had infused large sums of money in Kingfisher Airlines by way of loans, equity participation, liquidation of securities offered to creditors/lenders of Kingfisher Airlines aggregating to Rs 6,107.53 crores, all of which has been lost or is incapable of recovery. 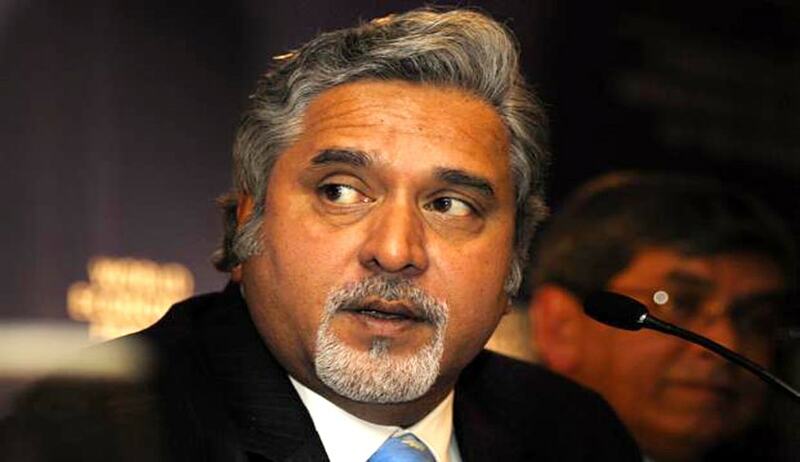 The court on April 7 had directed Mallya to disclose by April 21 the total assets owned by him and his family in India and abroad while seeking an indication from him when he will appear before it. It had asked Mallya, who owes over Rs 9,000 crore to around 17 banks, to deposit a substantial amount with it to prove his bonafide that he was serious about meaningful negotiations and settlement. On April 7, more than a month after he secretly flew to London, the court had asked Mallya facing proceedings initiated by consortium of 17 banks led by State Bank of India for recovery of loan worth Rs 9000 crore as to when he would be personally appearing before it. The significant query came soon after the consortium rejected Mallya’s two proposals for repayment of the dues as “unacceptable”. Significantly, the court on the request of the banks ordered the liquor baron to disclose all assets-- movable, immovable tangible, non tangible, share holdings, interests in fiduciary capacity in various trusts, all other rights and liabilities-- as on March 31, 2016 in India and abroad, not only in his name but also in those of his wife and children.